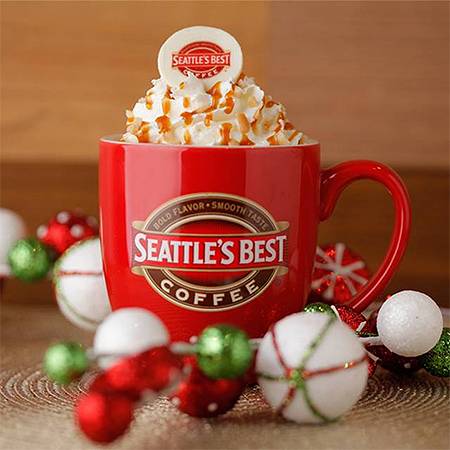 Christmas is always the time for a sweet cup of coffee. 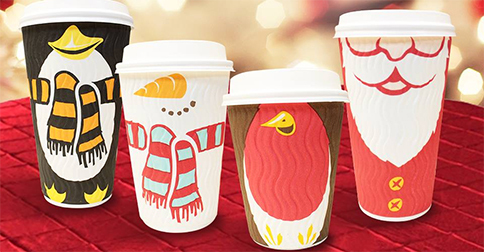 (SPOT.ph) You know Christmas is just around the corner when you start seeing those red cups. Starbucks' well-loved Christmas blends became available on November 2 (until January 7). 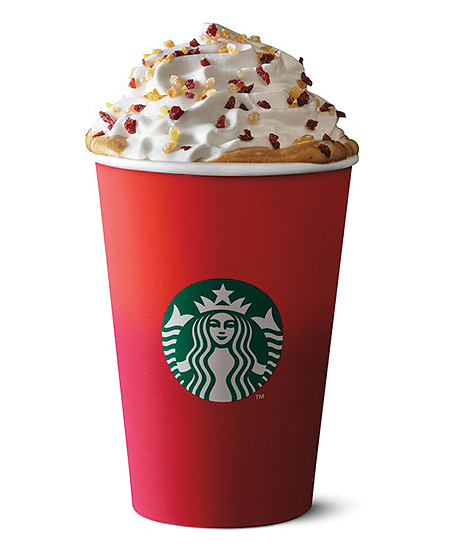 Joining the ranks of the Peppermint Mocha and Toffee Nut Latte is a new brew: the Christmas Panettone Latte (P155/Short, P165/Tall, P180/Grande, P190/Venti; Frappuccino P175/Tall, P185/Grande, P195/Venti). Taking its cue from the fruit-dotted Italian dessert bread, this luscious number finds a sweeter reward with the addition of dried fruits! It really sounds more like a dessert to us. 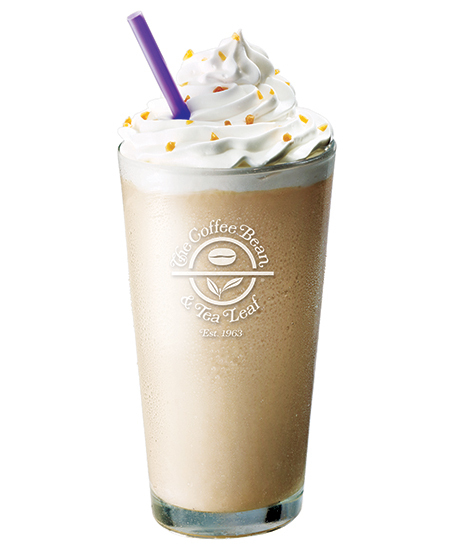 Meanwhile, The Coffee Bean and Tea Leaf has already launched their tasty holiday line. Making a comeback is the cult classic, vanilla-heavy Winter Dream Tea (P165 to P185). CBTL is also introducing their version of a toffee nut latte (P145/small, P160/regular, P175/large), a sensational, buttery blend with hints of nut and caramelized sugar. 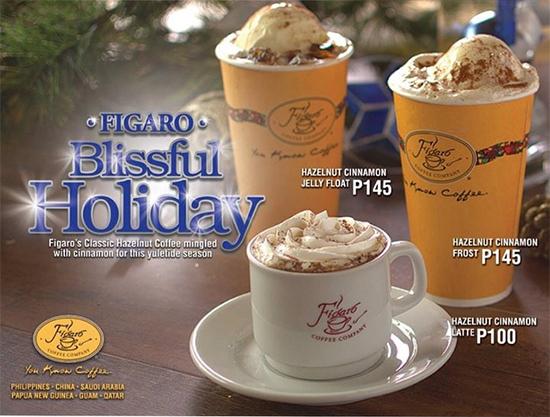 Figaro Coffee Company may have been staying under the radar, but they're not holding back when it comes to their holiday line. 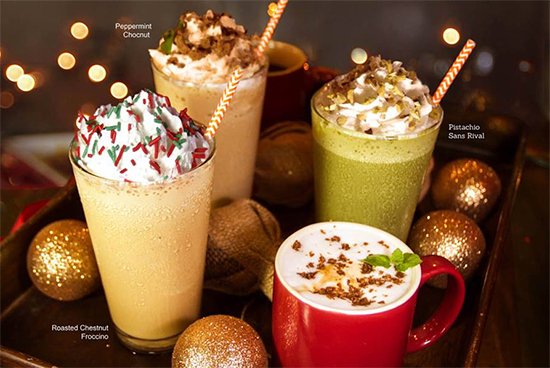 This coffee chain is unleashing a wave of nutty beverages: They have the Hazelnut Cinnamon Jelly Float (P145), Hazelnut Cinnamon Frost (P145), and Hazelnut Cinnamon Latte (P100). Pair them with their range of holiday-themed fruitcakes and gingerbread! 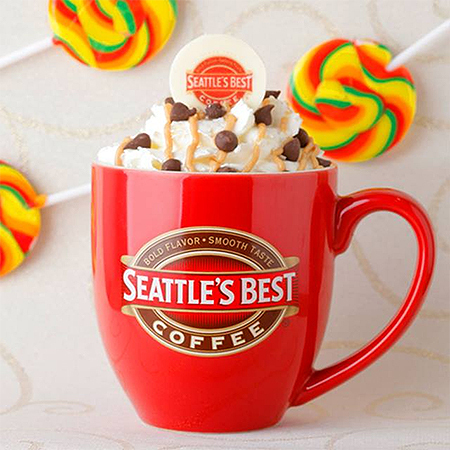 Riding on the drink-dessert bandwagon is Seattle's Best Coffee, who's come up with a delectable selection of candy-inspired drinks! The Cookies & Mint is back to the delight of its loyal fans, but those who want to have their coffee and cake all in one ought to try the new Strawberry Cheesecake (yup, that's a drink). It doesn't hold back—combining sweet and rich in every exceptional sip. Sweet tooth still not satisfied? SBC also converts a famous chocolate treat into something drinkable. The Peanut Buttercup is a buzzy little twist on a childhood favorite. When all else fails, the Nutty Caramel will surely turn anyone's holiday into a sweet celebration. Customers can get SBC's drinks as either hot (P155 to P180) or Javakula (P170/small, P180/regular, P195/large). Have you been nutty or nice this year? 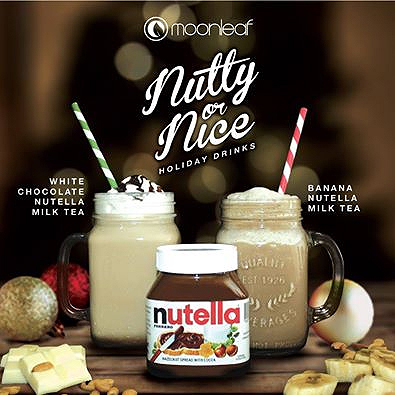 Enduring milk tea chain Moonleaf is going for a Nutella theme, with a two-piece-strong Christmas collection. Name your treat between White Chocolate Nutella Milk Tea and Banana Nutella Milk Tea. As of press time, these are not sold in stores yet. Bo's Coffee has just unleashed their Christmas drinks and, true to their tradition of keeping things homegrown, everything is made from scratch and from local ingredients. The four-drink setup flaunts the flavor of the holidays. 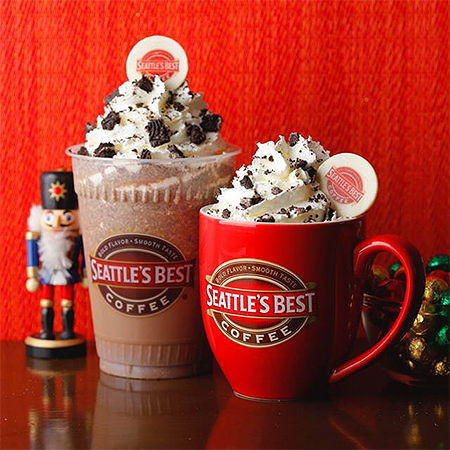 Peppermint makes its way to their coffee twice: There's the soothing Peppermint Latte (P175) and a rather grown-up twist to a beloved childhood favorite, a Peppermint Chocnut (P165). If your sweet tooth is looking for something to relish, Bo's also has a luxurious and comforting Roasted Chestnut Froccino (P185) and a Pistachio Sans Rival (P195) that tastes exactly like the cake it takes inspiration from. 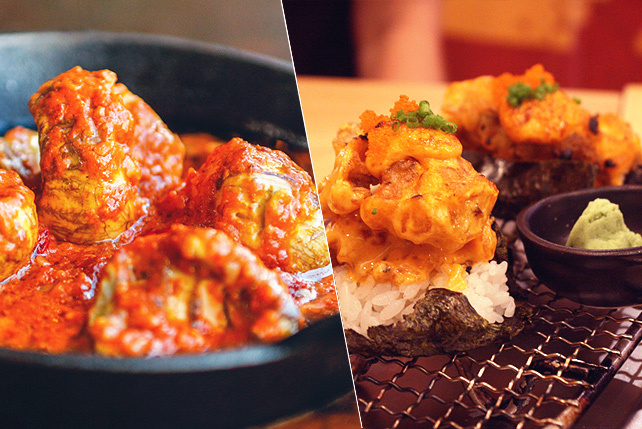 Chatime is gunning for your sweet side with their holiday line-up. The popular Creme Brulee Roasted Milk Tea has come back, and it's brought some friends, too! The Choco Chip Cookie Milk Tea and the Caramel Milk tea are your after-meal drink-desserts! 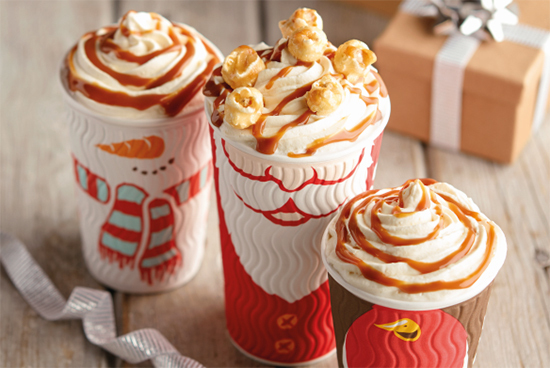 It's a caramel Christmas at Costa Coffee! 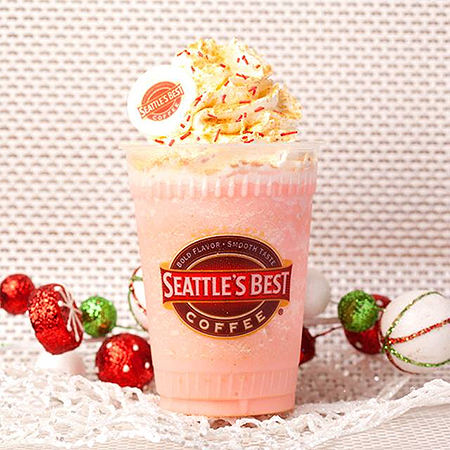 The London-based coffee chain is celebrating their first Yuletide season in the Philippines and it's proving to be a sweet one so far. They've come up with four tasty drinks and just because they're spiked with the sweet stuff, doesn't mean you can't taste that famous Mocha Italia blend. 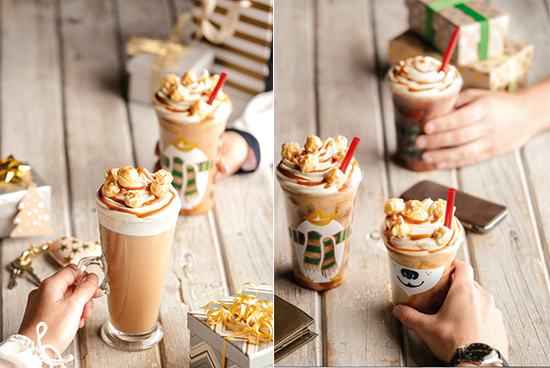 The Caramel Popcorn Latte (P165/Primo, P180/Medio, P190/Massimo) is a fun mix. The handcrafted espresso is topped with cream and popcorn pieces! If you're feeling warm, turn that into a Frostino for the same price. The rich drink morphs into something delightfully frothy, crowing with whipped cream and popcorn chunks. If you're a fan of heavier blends, Costa has concocted two fudgy beverages. The Caramel Fudge Frostino (P165/Primo, P180/Medio, P190/Massimo) is a cool and thick pick-me-up: a Frostino with gooey caramel and sticky fudge! 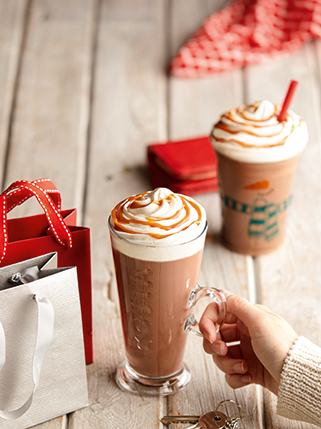 Meanwhile, the Caramel Fudge Hot Chocolate (P150/Primo, P165/Medio, P180/Massimo) makes us wish we had a fireplace. It's pure indulgence: luscious caramel, thick fudge, rich chocolate, and whipped cream. Forget gingerbread. Care for some ginger coffee? 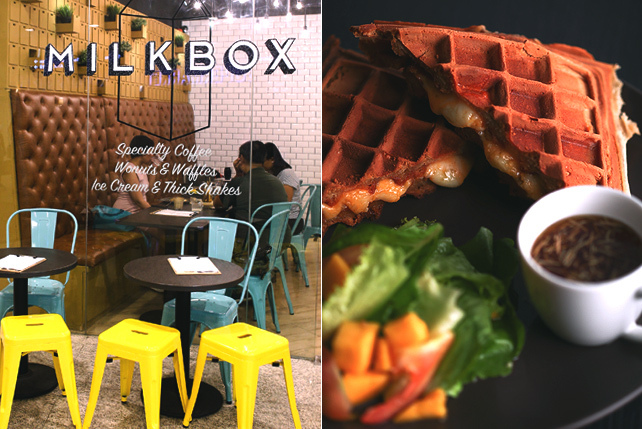 Local Edition Coffee + Tea on Perea Street, Legazpi Village, Makati City, has come up with two drinks for Christmas and one of them is salabat-inspired. 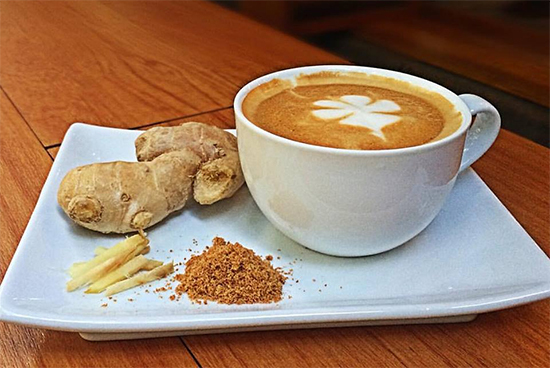 The Ginger Latte is sweet and smooth, with a biting finish. 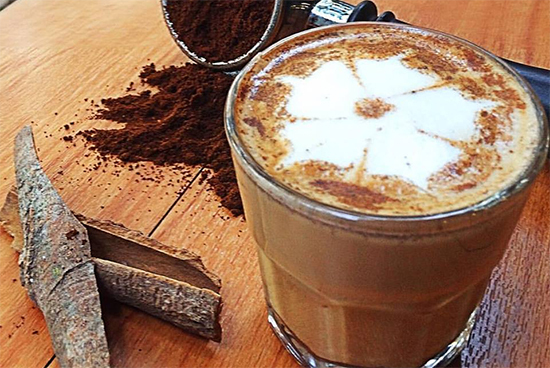 If you're nervous about that extra zing, warm up with the fragrant Cinnamon Latte! Both drinks are priced at P155/regular and P165/large. Smoothie stand Fruitas is going for a mango theme this year. 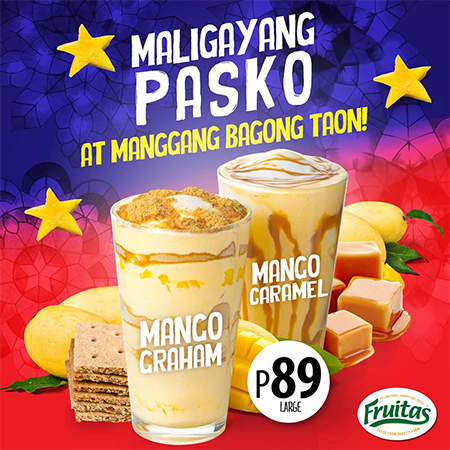 They've pimped up their mango shakes by adding graham and caramel to create a truly sweet pick-me-up. Each shake is P89. You could put them together and have a sippable version of a mango float. This story was originally published on November 11, 2015. It has been updated to include Costa Coffee, Bo's Coffee, Chatime, Local Edition, and Fruitas.